Description: Moderate piecing skills. Traditional piecing. Fat quarter and fat 1/8 yardage. 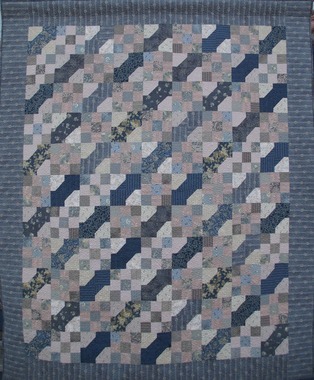 Scrap quilt. Rotary cutting directions. Pattern includes directions with borders.